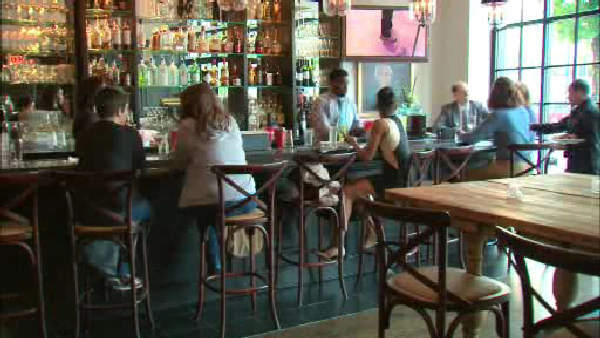 NEW YORK (WABC) -- Drinking alcohol during Sunday brunch just became a lot easier on Wednesday after New York Governor Andrew Cuomo signed into law a bill that eases decades old blue laws. The "Brunch Bill" is designed to modernize the 80-year-old Alcoholic Beverage Control Law by allowing restaurants and bars to begin selling alcoholic drinks two hours earlier at 10 a.m. on Sundays. Restaurants and bars outside of New York City will also be allowed to apply for up to 12 one-day permits each year that will allow them to serve alcohol even earlier at 8 a.m. for special events, such as when the New York Giants face the Los Angeles Rams in London at 9:30 a.m. on Sunday, October 23rd. "New York's burgeoning craft beverage industry has served as an economic generator for communities across the state and with this legislation, we are building on that progress," Governor Cuomo said. "By cutting red tape, breaking down artificial barriers and rolling back arcane and burdensome regulations, we are setting the stage for this industry's continued resurgence and future growth and I am proud to sign it into law." The bill will also cut red tape for craft beer manufacturers, authorize the sale of wine in growlers, reduce fees for small wholesalers and craft manufacturer salespeople, and allow liquor stores to sell gift wrapping and bags.